'Continuum' is a mysterious, illuminated block with coloured surfaces. There is something special about these surfaces: sometimes they’re pink, sometimes they’re blue- it depends on where you stand as the viewer and changes with every movement you make. To create this effect, artist Sebastian Kite makes clever use of the unique properties of light. Light consist of waves with different lengths each creating another colour. Socalled dichroic filters reflect several of these wavelengths, while others are transmitted, making only certain colours visible. With several layers of these filters in a film, Kite ensures that the transparancy and the colour of the surfaces change with every angle, depending on your point of view. This experience of light, surface, and space is strikingly similar to the way we communicate with one another. We often think that the process of sending, transmitting and receiving messages is on a ‘continuum’, that it’s a full circle. But the message (in 'Continuum': the light) is almost always distorted by the medium used (in this case, filtering surfaces), and its meaning dependent on your perspective. Kite’s work always takes the audience into account, inviting them to experience space consciously or differently through light, music and performance. His architectural background can be seen in his work; in their construction, dimensions and materials, his large installations always resemble cutaway buildings. Compare 'Continuum' to the bridge keeper’s house in front of the Hortus Botanicus, for example. British artist Sebastian Kite (1986) uses sound, light, projection and performance in his site-specific installations to allow visitors to experience space and time in a new way. His work finds itself at the intersection of art, architecture and music. Kite studied architecture at the Westminster School of Architecture and has been living and working in London since. 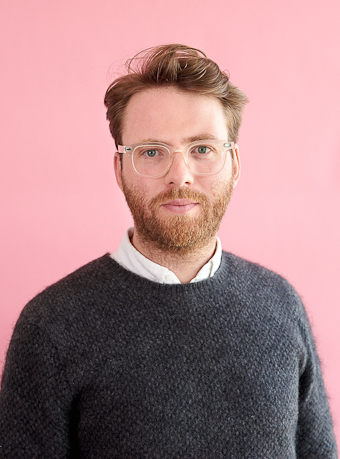 In 2015 he received the prestigious Royal British Society of Sculptors Bursary Award, and his installations have been exhibited at, amongst others, the Saatchi Gallery in London.